We visited the site of the THBS II home. The Thorn family and others lived nearby and Aunt Donna said all the children grew up within a short distance of each other. This is probably the location of the house where Ruby Wanda Stasey Trachta was born (Post Office, Cherry Box). 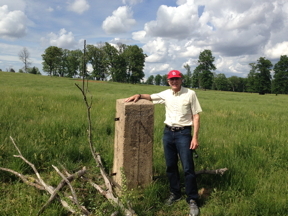 Steve showed us a recently uncovered concrete pillar in the middle of the old THBS II pasture, evidently a corner post of some sort since it had metal fasteners pointing out of it at a ninety-degree angle. This farm is evidently the location of the picture on the right, titled, "Tommy's Haypress," evidently by the wife of THBS II, Adriana Borron Stasey. 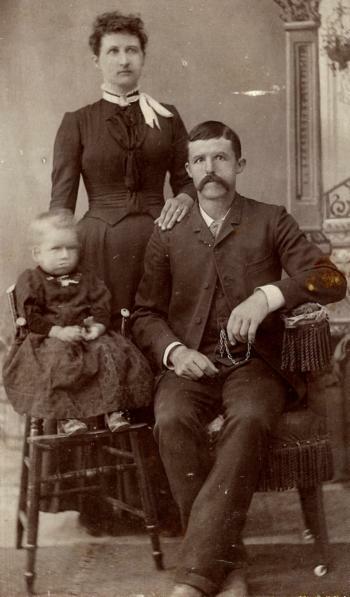 Thomas Anderson Stasey, THBS II's son, and is wife, Mamie, lived with his parents for a time after he was married. 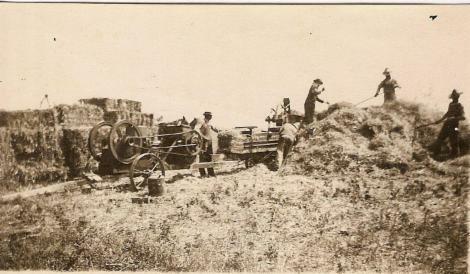 This farm is very likely where Tommy and Mamie's daughter, Ruby Wanda Stasey Trachta, was born. 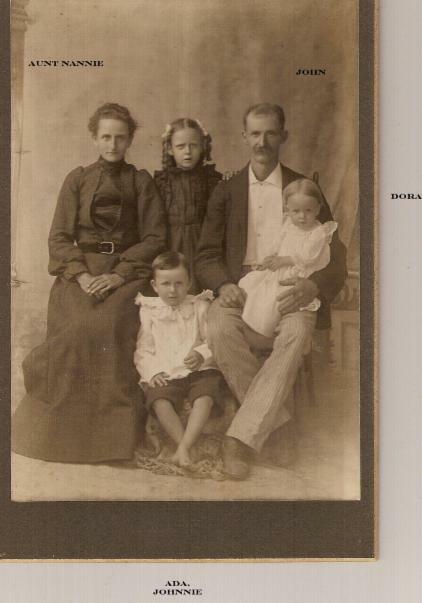 The picture below is not captioned but it appears to show, (L-R) Adriana Stasey, Thomas Hart Benton Stasey Jr. (THBS II), Mamie Stasey, infant Wanda Stasey, and Tommy Stasey. It would have been taken in 1916, if this is correct. 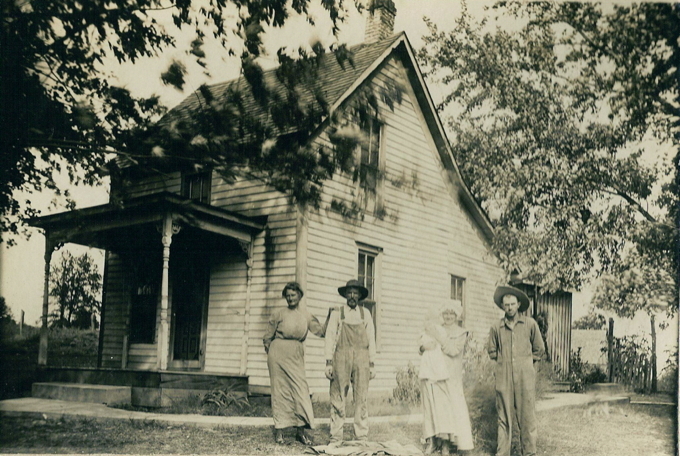 The farm THBS II owned was consolidated from the holdings of his mother and step father, Margaret America Sparks Stasey Saunders, and James Saunders. Across the road, a short distance away, was the family of John Thorn, husband of Adriana's sister, Nancy, known to our branch of the family as Aunt Nannie. Pictured below are the John Thorn and THBS II families. We delivered Aunt Donna back to her house. She gave us some additional genealogical information about the Borrons along with a history of Atlanta that has some histories of different Borron families. Went back to Hannibal and had dinner at the DQ.